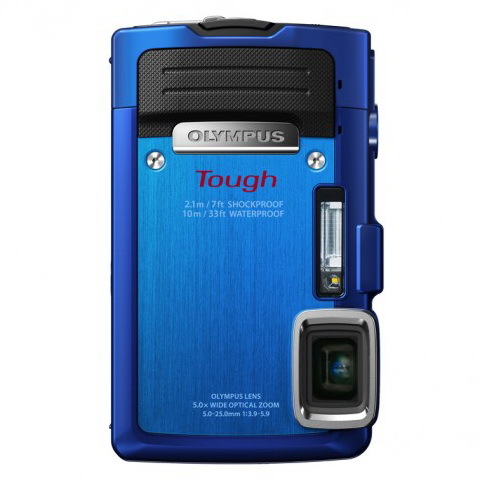 The Olympus TG-830 iHS is a mid-level rugged camera of Olympus’ Tough lineup that has a solid metal body with a rubber grip on the front and a metal bar on the rear that helps hold the camera and attaching a hand strap. The Olympus TG-830 iHS point-and-shoot digital camera can shoot underwater to a depth of 33′ (10 m) and it is shock-proof to a drop of 6.9 feet (2.1 m) and crush-proof up to 220 pounds (100 kgf). This camera also can operate normally in temperatures as low as 14° F (-10° C) and a protective seal keeps it sand- and dust-proof. The Olympus TG-830 iHS has a 16 MP Back Side Illuminated (BSI) CMOS sensor and the powerful TruePic VI Image Processor, that together provide detalied, true-color images and fast performance speeds. The TG-830 iHS comes with a 5x optical zoom lens with 11 elements in 8 groups and a 35mm-equivalent focal range of 28 to 140 mm. Super Resolution Zoom function is also available to double the optical zoom if necessary. Also present on TG-830 iHS is the Dual Image Stabilization system, which offers clearer images by reducing the bluring effects of camera shake when shooting at telephoto lengths and in low light situations. 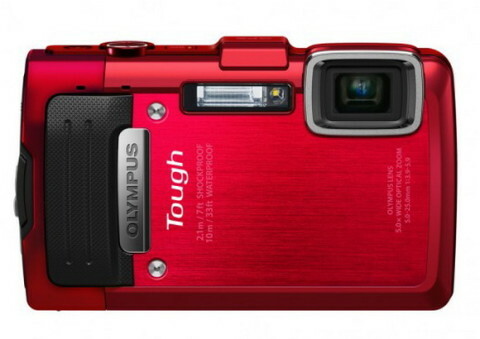 The Olympus TG-830 iHS has a 3.0″ LCD at 460k-pixel resolution with wide-angle viewing and anti-glare technology. 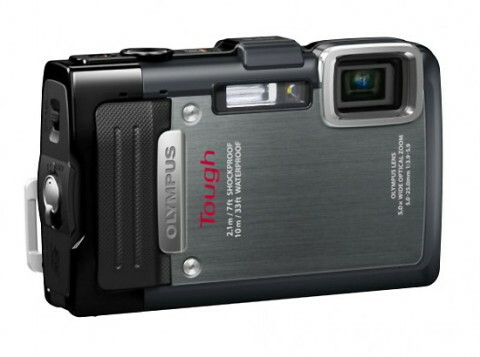 The TG-830 iHS also can capture Full HD 1080p video via a dedicated one-touch button. 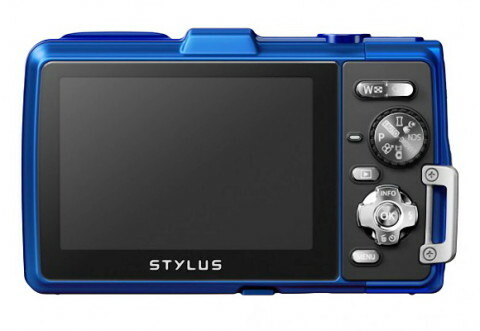 This camera is also equipped with a GPS and e.compass functions and it is available in silver, black, blue or red. You can see sample images made with Olympus TG-830 iHS on ephotozine.com website, and you can find more technical details on pcmag.com.